This week the South Australian Government Treasurer Tom Koutsantonis announced that the stamp duty concession for off-the-plan apartments has been extended for one year and expanded to include, effective from 20 June 2016, apartments located anywhere in South Australia. Previously the concession only applied to off-the-plan apartments located within a defined area of the Adelaide CBD. To view the latest budget announcement on 22 June 2017, please click here. 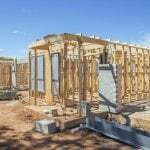 The SA First Home Owners Grant (FHOG) of $15,000 will remain. 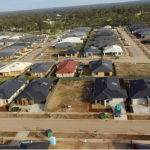 The FHOG applies to the purchase or construction of a new residential property, including a house, flat, unit, townhouse or apartment that meets local planning standards anywhere in South Australia. 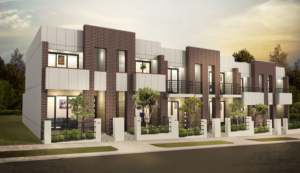 Co-Founder & Director of FHBA Taj Singh said “this is welcome news for South Australian first home buyers as this announcement will help those first home buyers that are looking to buy off-the-plan apartments outside of the Adelaide CBD. In addition the First Home Owners Grant of $15,000 will remain, which means that first home buyers can receive up to $30,500 in incentives, when you factor in a full stamp duty exemption”. For qualifying off-the-plan contracts with a market value of $500 000 or less, stamp duty will be payable on the dutiable value as defined on our SA Grant & Concessions Guide. Fellow Co-Founder & Director of FHBA Daniel Cohen say’s first home buyers looking to buy an apartment should do their homework. “The dutiable value of the off-the-plan or new apartment will vary depending on the stage of completion of the residential development in South Australia. This calculation method is different to how stamp duty costs for first home buyers are calculated in other states. It can get a little tricky so it’s a good idea to use a licensed professional to assist you in claiming your first home incentives”. The most disappointing part of the announcement by the SA Government is that they haven’t indicated any assistance for first home buyers looking to buy established property. Government research shows that approximately 65% of first home buyers are buying established property. 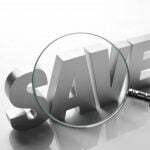 FHBA have been recommending that all State Governments (including South Australia) introduce no stamp duty for any first home buyers purchasing new property and a 50% discount on those first home buyers purchasing established property (with relevant cap thresholds applicable). We believe this will help level the playing field as it reduces the amount a first home buyer is required to save, thereby making first home buyers better equipped to compete with investors, who are aided by federal tax incentives. FHBA will continue this fight on behalf of aspiring first home buyers. To see more information on incentives available to first home buyers please click here. To view some of the more affordable properties with eligibility for the FHOG please click here OR fill in the form below and one of our New Home experts will contact you for an obligation free consultation to discuss your FHOG New Home options. Disclaimer: FHBA recommends you should with a licensed professional about your circumstances to determine whether you meet the eligibility criteria for any Government assistance. FHBA does not recommend you make any financial, property or investment decision based solely on Government assistance.